Radio programs archived from BBC Radio 4 FM. Items in this collection are restricted. 13/08/2016 The latest national and international news from BBC Radio 4. Dimbleby on Dimbleby Jonathan Dimbleby tells the story of his legendary broadcaster father, Richard Dimbleby. 13/08/2016 Listeners have their say on the issues discussed on Any Questions? Topics: BBC, Radio Program, Any Answers? Wiener-Dog, Our Ladies of Perpetual Succour, The Summer That Melted Everything, The Hunterian Collection, Ingrid Bergman Wiener-Dog, Our Ladies of Perpetual Succour, Tiffany McDaniel, Hunterian Collection. The Tunnel Science fiction drama by David Lemon set in a near-future Britain. 14/08/2016 The latest national and international news from BBC Radio 4. The Man Inside the Radio Is My Dad Charlie Brooks stars in Louise Monaghan's play about a little girl missing her dad. 13/08/2016 Series of profiles of people who are currently making headlines. Pianist Stephen Hough. Series 9 John Lloyd and Noel Fielding with Ross Noble, Dr Mike Shanahan and Susie Dent. Taming Nature What lies behind our desire to improve and perfect nature? 14/08/2016 The latest shipping forecast. The Clintons Drama exploring the nexus of truth and lies that threatened to undermine the presidency. Therese Coffey, Frank Field MP, Tim Montgomerie, Rhea Wolfson Ritula Shah presents political debate from BBC Broadcasting House in London. Topics: BBC, Radio Program, Any Questions? Rebels with a Cause Stories from Baluchistan and Kashmir, Colombia, Armenia, and the deep ocean off Bermuda. 13/08/2016 News and current affairs. Including Sports Desk, Weather and Thought for the Day. Series 3 Simon Evans' comedy-economics hybrid - this week about birth. Graham Greene - Monsignor Quixote Father Quixote and his friend Sancho attract the unwelcome attention of the Guardia Civil. Michael Heath Michael Heath, cartoonist, is interviewed by Kirsty Young for Desert Island Discs. 11/08/2016 The latest shipping forecast. Series 3 Barney and Cathy come up with a plan to find out which of them is the most attractive. Reading Europe - Spain: Tomorrow in the Battle Think on Me Eduardo, Marta's husband, wants a word with Victor. West Dean Chilli Fiesta Peter Gibbs and the panel visit the West Dean Chilli Fiesta near Chichester. 'First Ladies', Children witnessing childbirth, Composer Charlotte Bray The role of the First Lady, political point-scoring or wifely devotion? Reading Europe - Italy: The Parrots The Master takes his last chance. Series 2 Natalie Haynes stands up for one of the greatest all-time thinkers, Plato. 12/08/2016 In-depth reporting and analysis from a global perspective. Series 30 The wide ranging music quiz, chaired by Paul Gambaccini. Sandy Beaches A guide to some of the wildlife most likely to be found on sandy beaches. 11/08/2016 Analysis of news and current affairs. Series 9 Steve Punt puts his ear to the ground in a search for the mysterious so-called World Hum. David Hockney embarks on an ambitious new portrait series from his Californian studio. 11/08/2016 Eddie Mair with interviews, context and analysis. 12/08/2016 Eddie Mair with interviews, context and analysis. Punk's Legacy: Don Letts, This Is Grime, Women in Punk, Scottee News, reviews and interviews from the worlds of art, literature, film and music. 11/08/2016 Adam Rutherford explores the science that is changing our world. 12/08/2016 The latest national and international news from BBC Radio 4. 11/08/2016 National and international news from BBC Radio 4. 11/08/2016 Rex and Toby both want the last word. 12/08/2016 The latest shipping forecast. Farming Today This Week: Equine Industry Felicity Evans is at a new livery yard to learn about the UK's £7 billion equine industry. How Safe Are Your Secrets? What can business do to defend itself against the growing army of corporate spies? 11/08/2016 The latest weather forecast. Flaneuse - Women Who Walk the Cities Lauren Elkin recalls 'Jinx Allen' and Ruth Orkin in Florence. Then it is back to New York. What's wrong with modern art? Will Self explores what is wrong with contemporary art. Special Forces Donald Trump's popularity and an element of his political base: the alt-right. Mary and Colette -Things Move On Sisters consider how marriage has changed since their day. 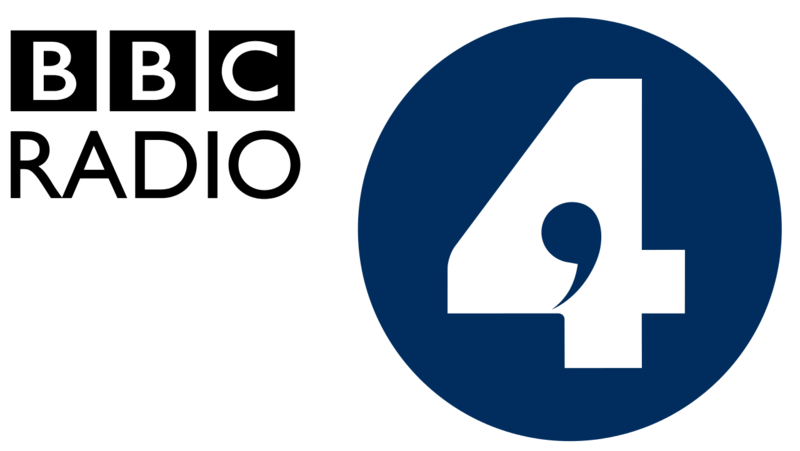 13/08/2016 BBC Radio 4 joins the BBC World Service. 11/08/2016 Arts news, interviews and reviews. 11/08/2016 News from BBC Radio 4. Portrush tourism, Care homes, Cuddle parties How Portrush in Northern Ireland is being regenerated as a holiday destination. Series 9 Victoria Coren is joined by Lee Mack, David Schneider and Germaine Greer. Series 4 Street philosophy with Bettany Hughes, and changing ideas about hubris through time. 13/08/2016 The latest weather forecast. 12/08/2016 Obituary series, analysing and celebrating the lives of people who have recently died. Contemporary community dance in Oxford, from the cradle to the grave. The 'Man Engine' in Cornwall's mining landscape Helen Mark meets the UK's largest puppet, Man Engine, in Cornwall's mining landscape. Series 12 The dilemmas faced by couples and medical teams when a baby stops growing in the womb. Series 2 Marc Riley raids the BBC archive and finds interviews with Lemmy and Joe Strummer. 13/08/2016 The latest news from BBC Radio 4. 8-12 August 1916 Extraordinary good fortune disrupts the lives of the Graham household. 13/08/2016 The latest shipping forecast.